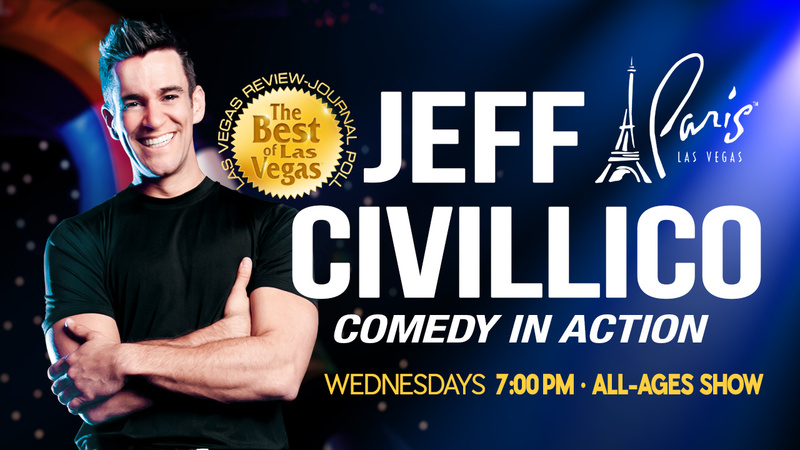 The Jeff Civillico Las Vegas show at Bally’s, Comedy in Action, showcases the many talents of the charismatic headliner. The headlining star of Jeff Civillico: Comedy in Action at Paris Las Vegas is like an irrepressibly energetic one-man variety show. Filled with family-friendly comedy, juggling, stunts, audience interaction, and more, it’s certainly one value packed afternoon show. 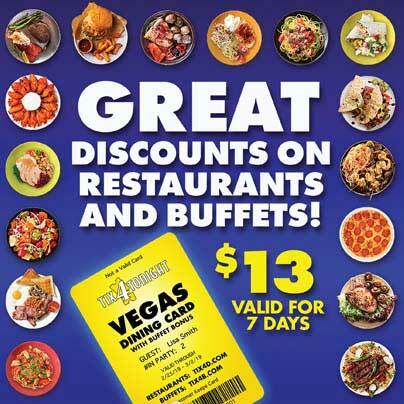 Voted as “Best Family Attraction” as well as one of the “Top Ten Things to Do in Las Vegas” by the Las Vegas Review Journal, you’ll be thrilled by this incredible deal of a show. A world champion juggler, Civillico will blow your mind by keeping bowling pins, chainsaws and swords in the air, while sometimes riding a unicycle or balancing a tall ladder off his face. In this very physical show, Civillico performs thrilling stunts that will leave you on the edge of your seat. Civillico keeps the crowd laughing with his physical gags and contagious humor. His awesome energy engages the audience whether they remain in their seats or by bringing them onstage in this fully interactive show. The star ties his wide variety of skills together with his over the top, manic energy and irrepressible charisma, the same qualities that helped him become a breakout personality when he was supporting big name headliners by performing memorable guest spots on the biggest stages all over The Strip. He’s the youngest headliner in Vegas and his popularity even brought him to the White House to perform. While many of his skills can be mastered after years (and years) of practice, you can’t teach anyone to display the type of stage presence that makes Civillico such a unique star. The multitalented performer, Jeff Civillico brings uproarious comedy, world championship juggling skills, thrilling stunt work, engaging audience interaction, and explosive energy together onstage in his Comedy in Action show at Bally’s.